It sounds like an oxymoron: a feature-heavy, lightweight outboard. 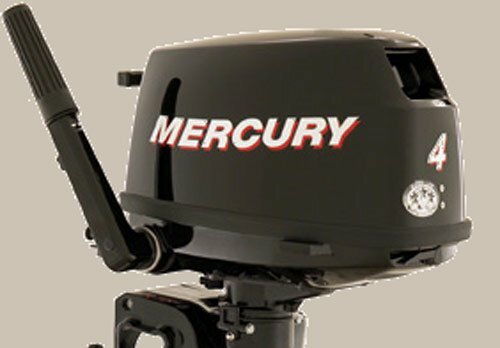 But to run one ofMercury’s 4, 5 or 6 hp FourStroke outboards is to believe in the seemingly impossible. These engines feature six trim positions and a standard shallow-water drive that delivers boaters the performance and maneuverability needed in any boating situation. Automatic decompression bleeds off compression during start-up, requiring less pulling force to start the engine. While running, exclusive Mercury through-prop exhaust, as opposed to the “over-the-prop” design used by competitors, promotes a more comfortable and quieter ride. All this comes in a package that, at just 55 lbs., is the lightest in its class*. Don’t call it a miracle—just call it aMercury.